According to Oxford’s dictionary, the definition of social media looks like this: “Websites and applications that enable users to create and share content or to participate in social networking”. There’s a misconception that’s flying around, making people believe that social media means just socializing through Facebook, or Instagram, or SnapChat, or whatever. But it’s not just about socializing, it’s all about the concept of sharing and connecting, without having an opportunity to see your friends in person. Nowadays, the popularity of social networks is currently reaching its peak, especially among young people. We are totally into social media, and some of us don’t even realize it anymore. For example, you’re looking for a tutorial on how to make pancakes. Easy tactic: go to Youtube.com, type in a question, and there you go, in a matter of seconds you see how the pancakes are made. Now, what just happened was you, reaching a piece of content which has been created by another person, and it’s meant to educate you. Social networks are also extremely useful for students, they offer great opportunities and advantages. 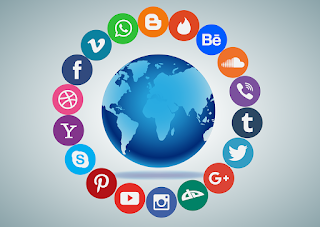 With the use of social media, they can now connect with their friends, make new friends, meet different nationalities, cultures, and open their eyes regarding this complex world. Now students are much more intelligent than our previous generations just because they, unconsciously accumulate information though most of the things they do online. They are educating themselves without even realizing it. Besides the fact that there are tons of information out there, there’s another great advantage of social media. It all spreads extremely quickly because of the smart options you can use. For example, the sharing option is an amazing feature which spreads a lot of free information. The only thing you have to do is grab it, and consume it. If you’re a student, looking to improve yourself, if you’re working and you want to acquire new skills, if you are looking to change your mindset – it’s all out there, and you can have it! You can literally educate yourself up to the point where you know more about a topic than a MBA graduate. You just have to look for what you need using social media – a source of any information you possibly need to look for, and then work. Daniel Goleman quotes “Smart phones and social media expand our universe. We can connect with others and collect information easier and faster than ever”. That, in my opinion, is a concrete affirmation. Nowadays, the youth, and by youth I’m talking about students, is extremely influenced by social media. Social networks have an extremely powerful influence on students, and that’s because it’s something different from the “normal education” you get in college. With social media, you can choose your own study materials, and you gain much more interest rather than having assignments you didn’t really ask for. Did you know that 75% of all Internet users use social media? It’s a pretty impressive statistic. When we talk about social networks, we’re referring to many types of networks, many with different usages. For example, Facebook – connects people, provides a lot of shared content, educates, and helps with social needs. On the other hand, YouTube is great for learning. Whenever you want to learn something new, type in the keywords, ending with the “tutorial” or “how to” words, or even share your own thoughts through tweets. On the other hand, social media offers a great deal of opportunities. For example, LinkedIn is the biggest professional social network that helps professionals connect and share their experience, which is something incredibly useful for the future career of any student. If you want to find like-minded individuals, or meet new people who share the same profession or career which you would like to find after college, LinkedIn is the place that can give you that. There is no need to go and meet those people, you can just as easily communicate online and exchange, share or get new, interesting thoughts and experience. You can get a great amount of opportunities like meeting millionaires, future business partners, a lot of creative people, and so on. Social media is basically a “Volcano” of opportunities for you, as a student. These are education opportunities, career opportunities, and most likely, any kind of opportunities you can get. If you’re smart about it, you can use it very wisely and gain a lot of traits, benefits, and advantages over time. Use this powerful tool in order to bring yourself to the top. If you are looking for connections, you are one click away. If you want to learn, you can. If your plan is to make a fortune, social media comes for your help. Whatever you want to do, you can use social media to succeed in your life!